It was in February 2019 when superstar Dhanush released the teaser of Gangs of Madras. It clearly highlighted that the film is an action crime drama. It also showcased Priyanka Ruth’s gangster avatar and the audience were mighty impressed. After watching the film, be it the critics or fans, all are showering praises for Priyanka’s impressive performance in the C.V. Kumar directorial. Be it the posters or the teaser of Gangs of Madras, many said that it resembled the gangster drama, Aaranya Kaandam. Gangs of Madras revolves around a gangster woman based in Chennai. While some are praising the story-line, many are impressed with the performances of the star cast. Let’s take a look at some of the tweets. 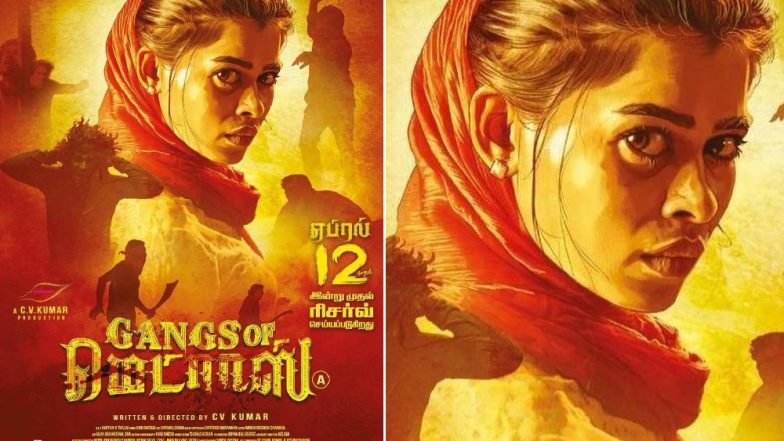 Gangs of Madras First Look Teaser: Priyanka Ruth Nails It as a Female Gangster. #GangsOfMadras Good narrated script with strong content..
#GangsofMadras: A fairly engaging gangster drama with a handful of good moments. Newbie #PriyankaRuth is a great find, pulling off a challenging role very well. @DanielBalaje and the cinematography are other assets that help it through. Gangs of Madras has been written and produced by C.V. Kumar. The film also stars Kalaiyarasan in the lead. Daniel Balaji, Bagavathi Perumal and Aadukalam Naren are seen in key roles. This was C.V. Kumar’s second project after Maayavan. Share your thoughts with us about Gangs of Madras in the comments section below.